The sun did indeed shine on the Friends of Burnt Ash Pond on their open day last Sunday. 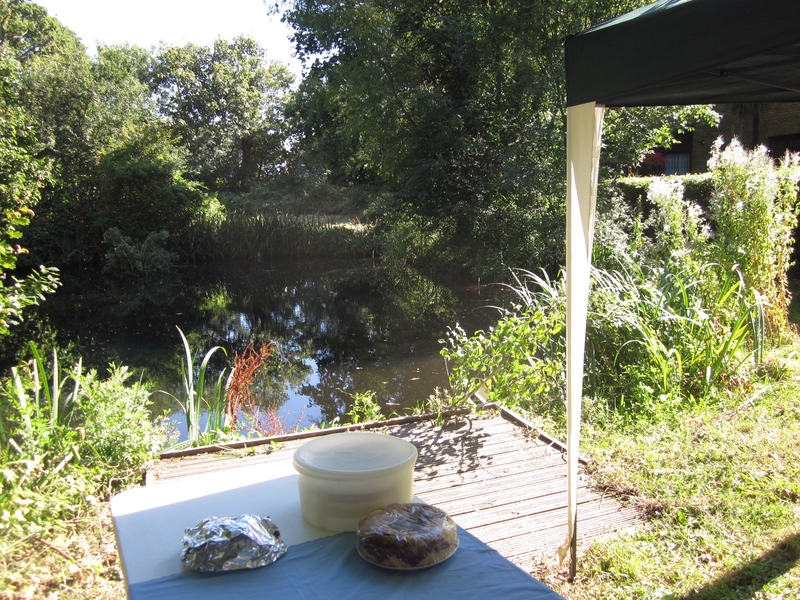 About 30 people joined them at the site and enjoyed some very fine home baking courtesy of the hard-working friends. Cakes, sandwiches, quiche and biscuits were all available! On a sadder note, earlier in the year one of the long standing members of the group passed away and the Friends felt that they should plant something in her memory. 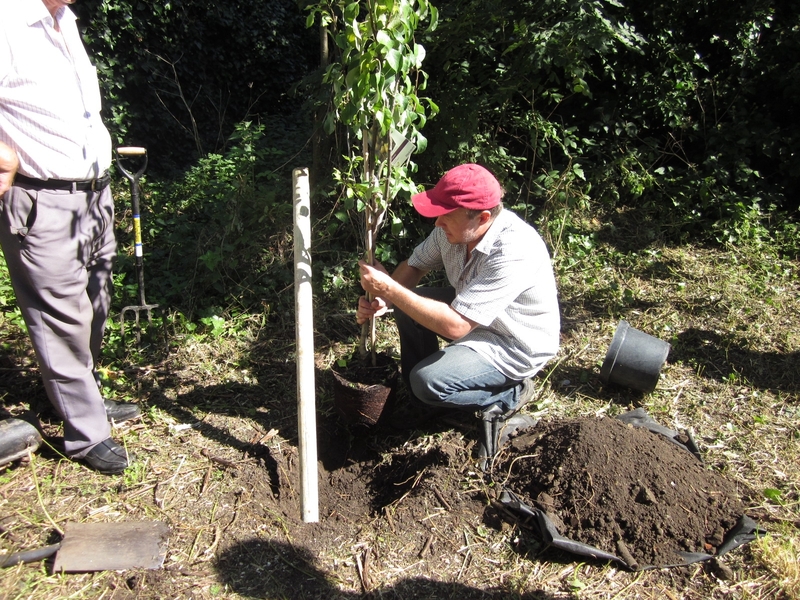 Therefore, they decided to plant a pear tree on the site, this was done as part of the open day and there were a number of people there that knew her well. We all hope that this is a fitting tribute to a lady who cared so much about the site.